Hi Guys! 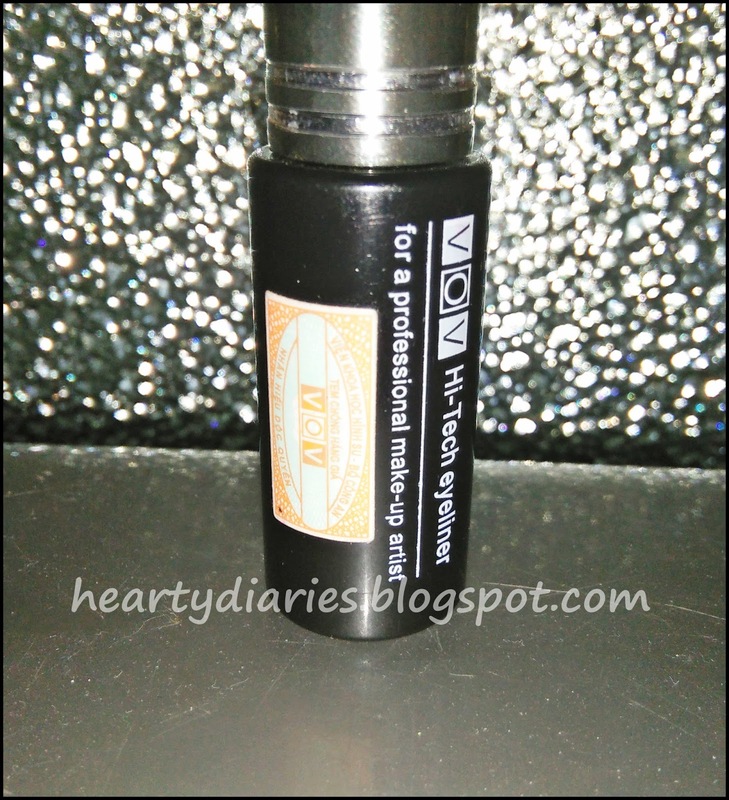 Today I am going to share a review about VOV Hi Tech Eyeliner.. 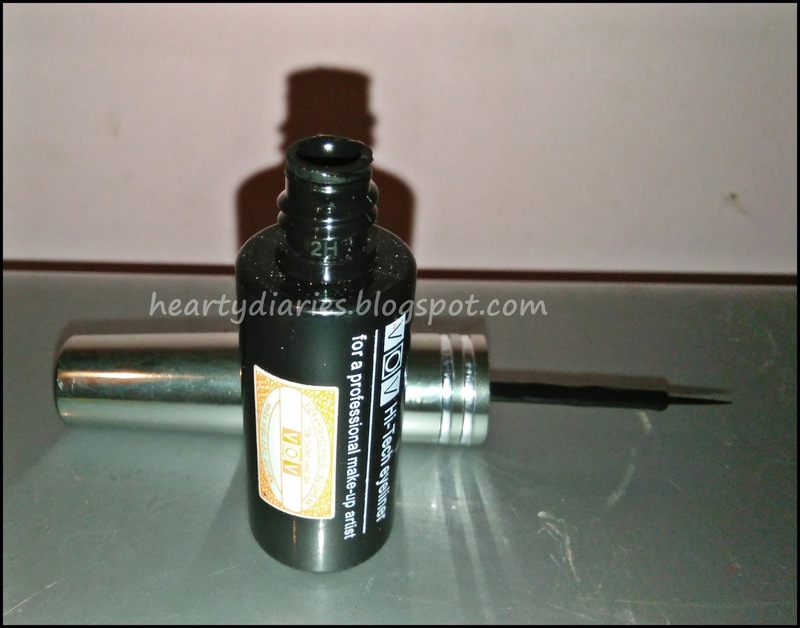 This is the most affordable and easily available eyeliner that you can find in Indian stores if you don’t want to go for a branded and high end one. I bought this one before seven months approx when I wasn’t on a high budget and didn’t even plan of reviewing it. But I am quite happy with it, so I decided to post a review about it today. I am in search of more affordable and easily available products in India to see and share which affordable products are really good in their performance. If you want me to do a post on affordable makeup products in India or a review about any product, do let me know.. Product Description and Claim: There is no product description or claim as such on the outer packaging which is a type of minus point for this one but it is mentioned on the eyeliner that it is meant for professional makeup artists..
Before proceeding with the review, I would like to take a minute to shout out for a new YouTuber Silvia with channel name Funny Bunny. She is a beginner and a school girl but very determinant and great in her work… Check her channel for beauty and makeup related stuff, hacks and reviews and she’s cute (you would love her).. I am leaving her channel link along with other social media details down below. Don’t forget to check these and subscribe to her.. 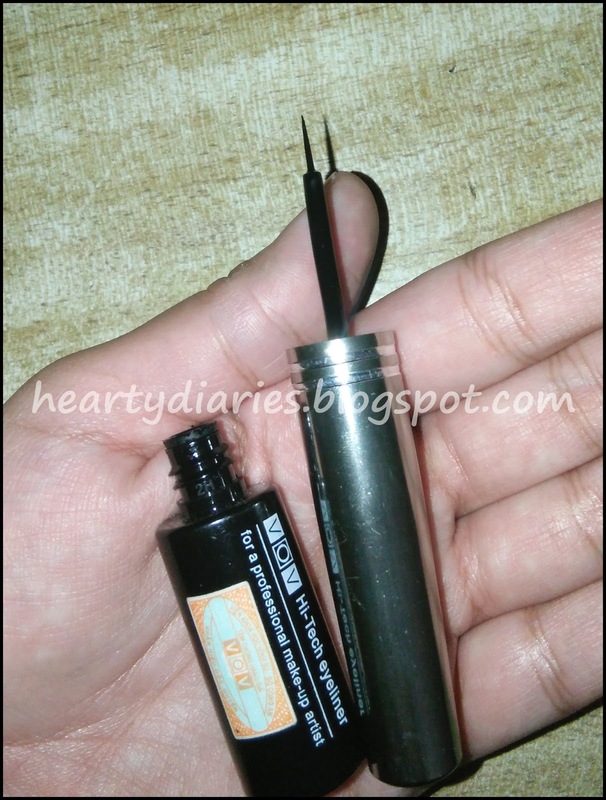 So let’s get back to our review and see how the packaging of this eyeliner is! Packaging: The eyeliner comes in a cardboard box which is fine as per the product cost. The packaging is not so fancy (ofcourse it can’t) but not bad even. My eyeliner is seven months old due to which I am unable to share how the packaging looks like but it was fine. The entire body is of plastic even though the long cylindrical applicator/cap looks like of steel. 1. The eyeliner is very affordable. 2. The formula is smooth and has a medium consistency. Not too thin and not to thick. 3. 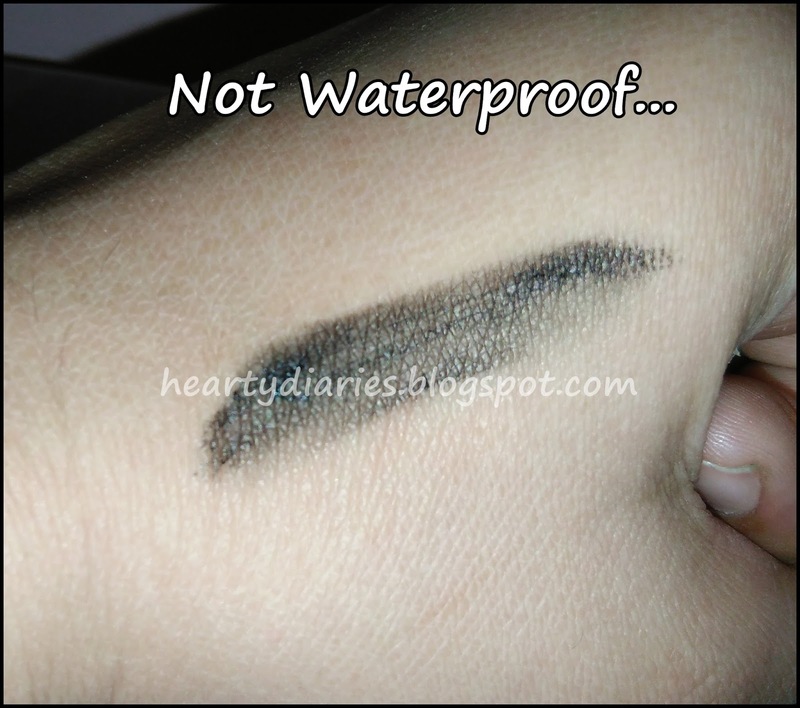 The colour is very dark and pigmented and the product dries out easily. 4. It gives a good look, pigmentation and colour within a single stroke. 5. 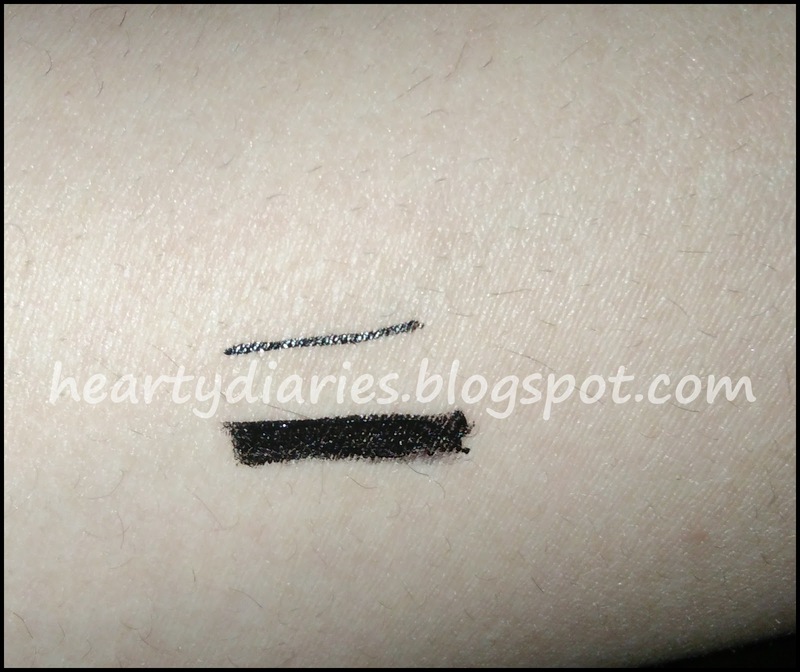 The application of this eyeliner is easy and the applicator is very easy to hold and work with. Wow! Look at that finetip! 6. The brush is very thin due to which very fine and precise lines can be drawn as per the choice. 7. Its very light weight and travel friendly. 1. The eyeliner has a staying power of four to five hours only. 2. It smudges very easily if there is a single drop of water. Thus its not waterproof but I don’t mind it in such a low price range. Is it affordable? Is it worth the money? Yes. 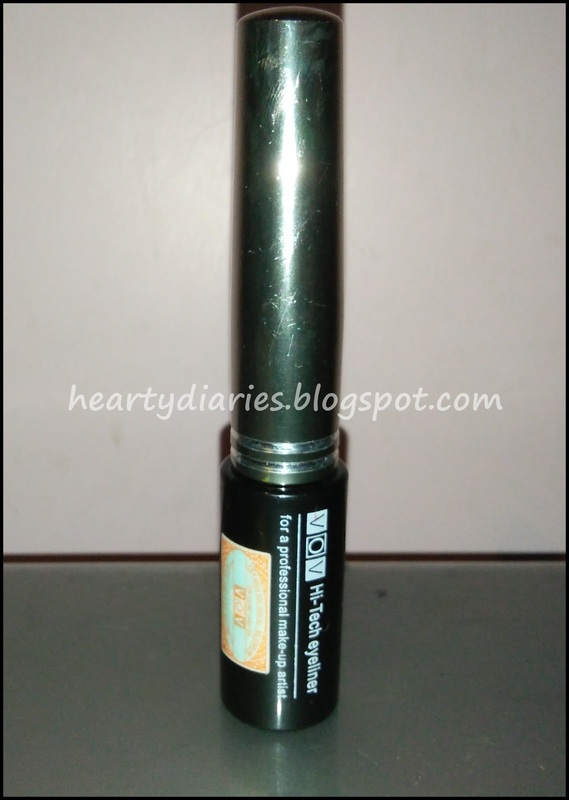 This eyeliner is highly affordable and worth its price. It is easily available and hugely sold in Indian markets. I am happy to try it and it is worth a try if you are not willing to spend huge sums of money on makeup or if you are a beginner. My experience and Recommendation: I had really low expectations with this product but it was able to stand up high. The colour is beautiful and this eyeliner doesn’t come off like those local eyeliners out there after an hour or too. Whenever I have applied it, it has stayed there on my eyes and I am pretty satisfied with its result in this price. I also suggest it to make up beginners out there who want to learn different eyeliner styles, play with different stokes and yet save money. The best thing I liked about it is most of the low priced eye liners get dry within four to five months but I have this one from 7 months now and it hasn’t even dried out. Thanks for the review… I love your blog!!! It's my pleasure. That really means a lot to me.